Coal seam gas has an image problem, as a former Santos chairman and others in the industry have acknowledged. 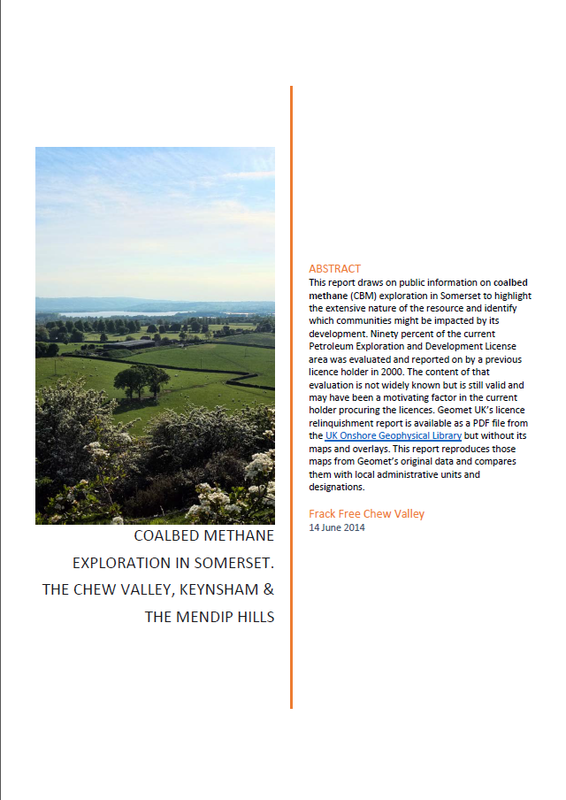 The way the industry extracts natural gas from deep underground coal seams, both here and overseas, has meant that a lot of people have a lot of questions about CSG’s safety and sustainability, particularly in relation to its effects on people’s health and that of the natural environment. Faced with wide-ranging criticism of mining practices and lack of transparency, the CSG industry has launched a campaign to convince the general public, and policy makers, that it’s in Australia’s national interest to allow an expansion of CSG. They have concentrated their efforts on three ideas: that an expansion of CSG will create a large number of jobs; that without a big increase in CSG extraction, gas prices will rise dramatically; and that an expansion of CSG will reduce Australia’s greenhouse gas emissions. But according to our new report – Fracking the Future, published today – those claims are often exaggerated, and are sometimes based on outright falsehoods. “We all realise natural gas projects would benefit the entire nation, increase our GDP by an estimated 1.5% and directly and indirectly create 150,000 new jobs – this is in addition to the 100,000 jobs created by our gas industry last year alone.” – Australian Petroleum Production & Exploration Association (APPEA) deputy chief executive Noel Mullen. The reality is that the CSG industry is currently so small that the Australian Bureau of Statistics does not publish separate employment figures for just CSG or for the gas industry as a whole. Rather, the ABS only publishes data on the combined size of employment in the oil and gas industries. According to the ABS, in November last year the combined oil and gas industry employed 23,200 people. To put this in context, hardware chain Bunnings employs around 36,000 people. The industry’s peak body, APPEA, recently ran a multimillion-dollar national advertising campaign to coincide with last year’s federal election that claimed the industry created an additional 100,000 jobs in 2012. Yet in that same year the ABS found that the whole oil and gas industry had increased its employment by only 9,372 people. One of them is way out. In fact, our new research shows that if the gas industry had been responsible for creating 100,000 jobs, then it would have been responsible for 58% of all job creation in Australia that year. The reality was that the industry was responsible for just 5.4% – only about one-tenth of the impact they had forecast. In total, the gas industry employed 0.2% of the Australian workforce in 2012. “The best policy response to rising prices lies in bringing more gas to market” – APPEA chief executive David Byers. One of the biggest claims that some CSG companies and peak body APPEA have been making is that an expansion in CSG extraction can stop gas prices from rising in the eastern parts of Australia. This claim completely misrepresents why gas prices are rising. Put simply, because the world price of gas is much higher than the Australian domestic price, the gas industry would prefer to sell gas to foreigners than keep selling it to Australians. Previously, they had no way of exporting Australian gas extracted on the east coast, but three big export facilities will soon be ready for business in Gladstone, Queensland. When these export facilities are completed, gas producers on the eastern side of Australia will have a choice. They can sell gas to domestic customers or to foreign customers. And they will pick which customers they sell to based on price. These export facilities are being built by the gas companies and are part of their plan to expand production and increase prices, something they have been telling their shareholders for years. When the export facilities are complete, if domestic gas consumers want natural gas they will have to be willing and able to pay the equivalent of the price the gas companies will receive from Asian customers. At the moment that is two to three times more than the recent wholesale price. Once connected to the world gas market, the only things that can change the domestic price will be things that change the world price. If more CSG is extracted in Australia this is not going to have a material effect on the world price and in turn will do nothing to reduce the price paid by consumers. Some gas companies have admitted this but others try to pretend that it’s not the case. “Natural gas can help reduce greenhouse emissions, both here in Australia and across Asia, because it is so much cleaner than traditional sources of energy.” – APPEA’s Our Natural Advantage website. Electricity generated from burning natural gas produces fewer greenhouse gas emissions than electricity produced from burning coal. For this reason the industry has claimed that natural gas can help reduce the world’s greenhouse gas emissions. While it is true that when it is burnt for generating electricity natural gas does produce fewer emissions than burning coal, not all sources of natural gas can be treated similarly. Unfortunately for those interested in reducing greenhouse gas emissions, the way CSG is extracted can substantially reduce its potential emission reduction benefits. 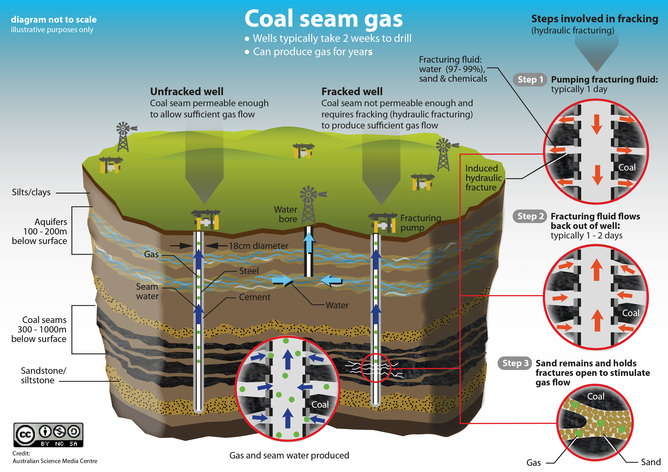 When CSG is extracted it leaks out of the ground, particularly when using hydraulic fracturing or “fracking”. These are known as fugitive emissions and are an extremely potent greenhouse gas, up to 86 times more potent than carbon dioxide. The amount of fugitive emissions that are produced during the CSG extraction process is currently unknown: no systematic study has been done in Australia. But in the United States, studies on shale gas – which like CSG is known as an unconventional source of natural gas – have found that fugitive emissions rates are substantially higher than conventional natural gas. The CSG industry in Australia has been extremely reluctant to make any systematic attempts to measure the rate of fugitive emissions and so it has fallen to universities and the CSIRO to attempt to measure fugitive emissions. Once the rate of fugitive emissions is known, it could substantially reduce the greenhouse gas benefit of using natural gas extracted from CSG wells. If the CSG industry wants to be taken seriously, it would do better not to exaggerate its economic benefits and downplay risks to human and environmental health, and begin addressing genuine community concerns. This article was co-authored by Matt Grudnoff, senior economist at The Australia Institute, who was the lead author of the new CSG report.